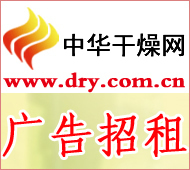 China Drying Network Co., Ltd. Jiangsu One-Step Drying Equipment Co., Ltd. has extensively absorbed in-depth research on a variety of models at home and abroad, based on national conditions carefully developed HLD series hopper mixer. Following the export to Bangladesh, the product has recently entered the Indonesian market. The hopper mixer produced by the company adopts double-screw hoisting, electric rotation and flexible shaft coupling, and the performance is more stable and reliable; the maintenance and the maintenance are simpler; the automatic production is realized; the hopper with refined specifications that fully meets the GMP requirements is produced. Material is not left, easy to clean, and meet the mixing requirements of large quantities and varieties, can be organically connected with the front and rear equipment into a pipeline.